Siddharta Boutique Hotel. Charming hotel with pool and terrace restaurant, convenient location to visit the temples of Angkor Wat. You can book it here. At Old Market Pub Street you will find fancy street food.. Amok dish, a curry dish originally cooked in banana leafs. Visit a floating village on the Tonle Sap lake, Kompong Khleang is recommended (not Chong Kneas). Enjoy an Apsara Dance Show. 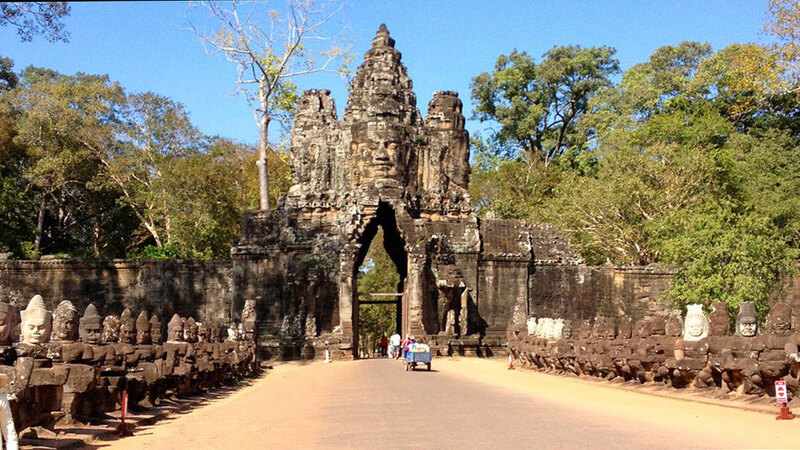 Visit the temples of Angkor Wat the reversed way than most people do: Angkor Wat in the morning (West gate to have the sun in your back), then the Bayon temple and in the afternoon Ta Prohm with its strangler fig trees known from the Tomb Raider movie.